With the Nautiz X1, you don’t have to choose between dependability and slim design. With its small size and light weight of only 180 grams (6.3 ounces), it’s in a class with other popular smartphones – but with ruggedness unmatched by any consumer device. Built for the toughest conditions in work and play, the Nautiz X1 meets stringent MIL-STD-810G military standards for withstanding humidity, vibration, drops and extreme temperatures. 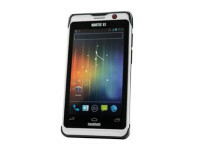 And with an IP67 rating, the Nautiz X1 is fully waterproof and impervious to dust and sand. 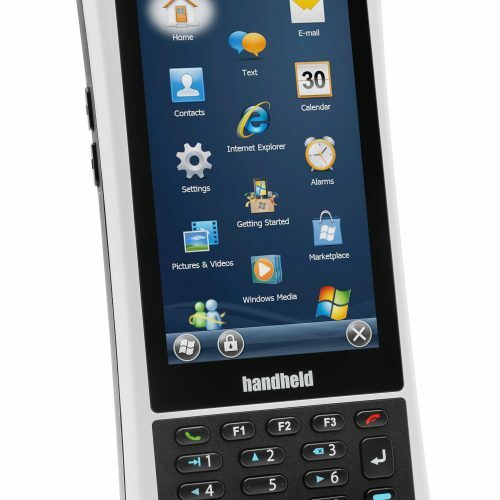 The 4-inch, 800×480 WVGA capacitive touchscreen is sunlight-readable and scratch-resistant. On the Nautiz X1’s rear face, a 5-megapixel autofocus camera and true LED flash allow you to take crisp photos, even in dark environments. The Nautiz X1 provides reliable voice and high-speed data transmission worldwide over GSM or CDMA networks, and connects to 802.11 b/g/n WiFi networks. 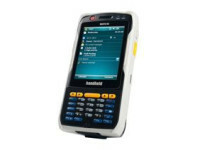 A standard 1530 mAh Li-Ion battery offers extended operation time, even on long days away from a power source. And when you’re out in the world, embedded GPS, E-compass and G-Sensor keep you on the right track. Plug into a 3.5-millimeter mic/earphone jack, use the speaker for hands-free conversations, or pair the Nautiz X1 with a Bluetooth wireless headset or stereo headphones. 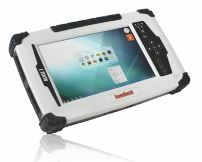 Plus, the Nautiz X1 has a multitude of optional accessories, including a desktop cradle, an extended battery, a vehicle cradle and carry cases. 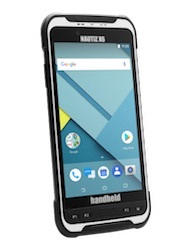 If you need a compact and powerful mobile device that can satisfy your demands for work and play, don’t limit yourself to a smartphone or a rugged handheld computer – choose the Nautiz X1 for a tool that combines the best of both.